We've found a new favorite! 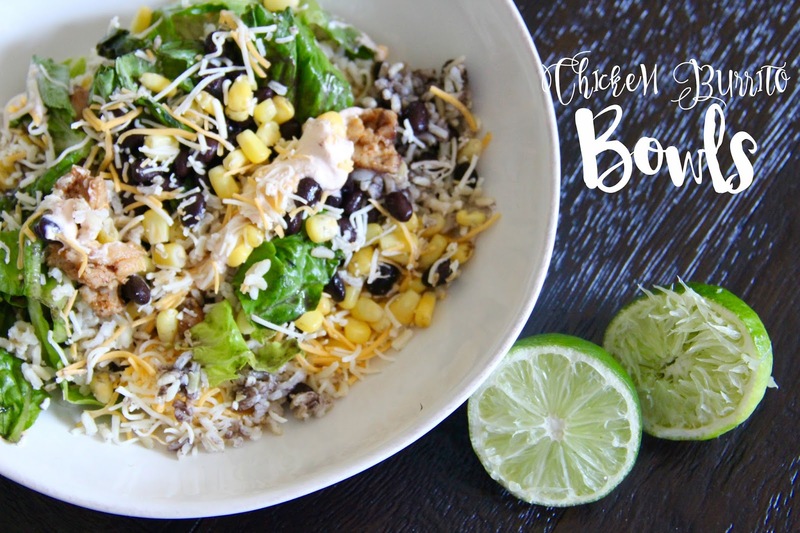 With a little culinary imagination husband and I whipped up these AMAZING chicken burrito bowls. They're so good that we've eaten them for dinner twice in four days. Plus they leave you with leftovers for a healthy and delicious lunch. That's saying something considering I'm not the biggest fan of leftovers! Dice the chicken and season with the chili powder, onion powder, salt, and pepper. Cook until done. While the chicken in cooking, prepare the rice according to the box directions. We make 4 servings to have enough for leftovers. 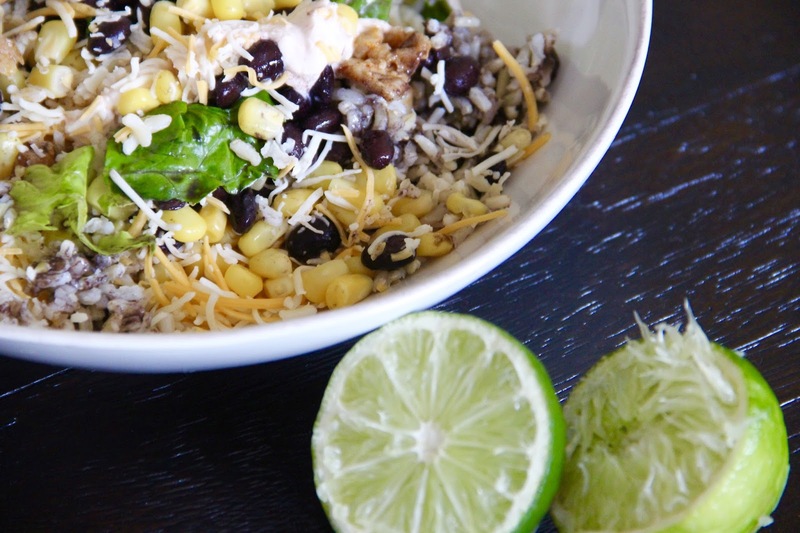 Dice the avocado; cut the lettuce; and heat the corn and the black beans (we just microwaved them). 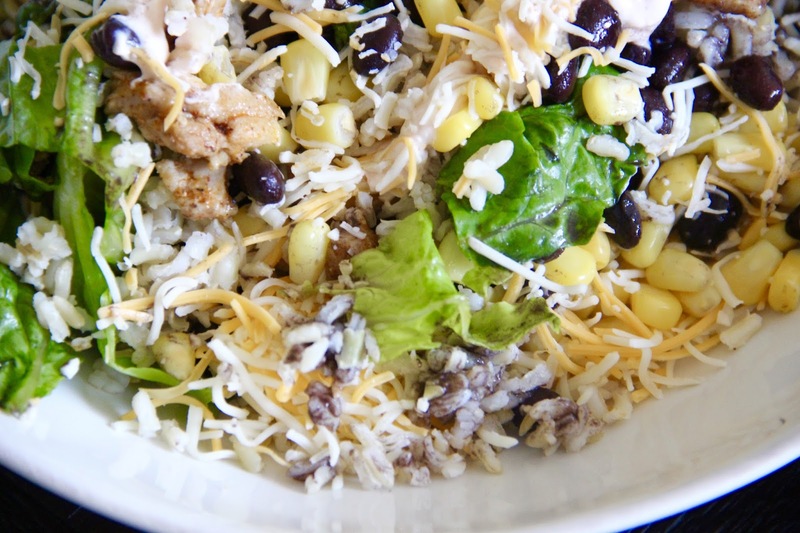 Layer the bowl with the rice, then top with the romaine, chicken, corn, beans, avocado, and cheese. Dollop the chipotle cream sauce on the side. Mix it up! 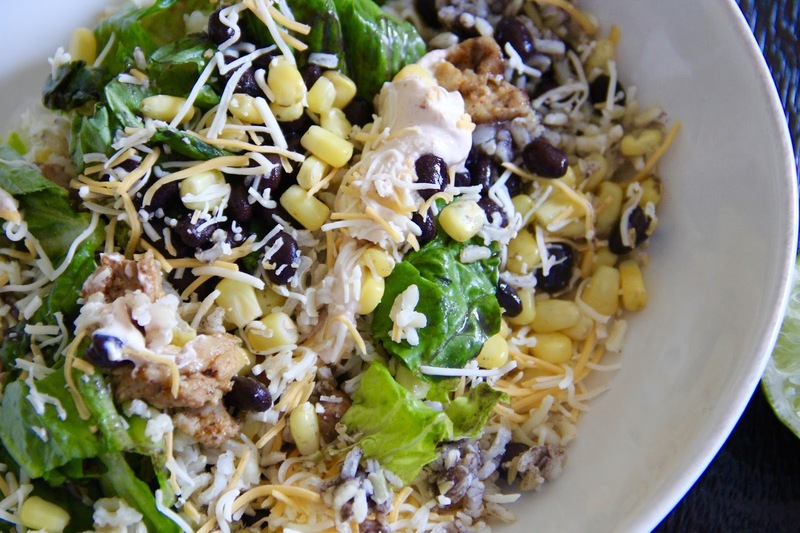 Mix the sour cream, chipotle sauce, and lime juice in a bowl. Add the garlic salt to your taste preference. Now enjoy a hearty and healthy meal that takes no time to throw together!